Melissa McArthur is the founder and president of Clicking Keys Writer Services, a full-service editing, cover design, and layout company based in the upstate of South Carolina. She also serves as Associate Publisher for Falstaff Books, and is an accomplished editor and proofreader. When she isn’t working in the realm of fiction, Melissa is an adjunct professor at Winthrop University and editorial director and instructor for Author Essentials. 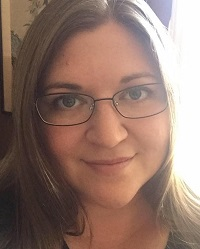 A graduate of Winthrop University, Melissa has published short stories with Mocha Memoirs Press, Falstaff Books, FunDead Publications, and Lore Seekers Press. Her latest urban fantasy series, Guardians of Eternity, is being published by Falstaff Books.